How nice to find oneself rubbing shoulders with Alan Bennett. On a bookshelf in a bookshop, that is. 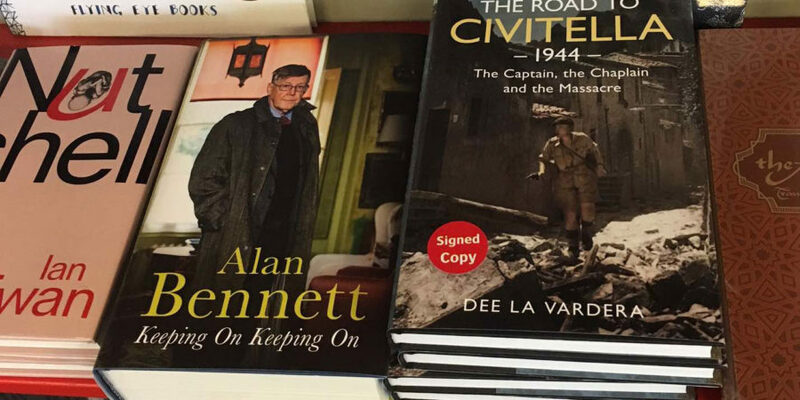 Copies of my book The Road to Civitella 1944 placed next to Bennett’s Keeping On – Keeping On. I have met the good man at a book signing at Bath Literature Festival a few years’ back, his… Read More Font-astic!